Located in western Uganda, this is Uganda’s second largest National Park next to Murchison falls national Park. 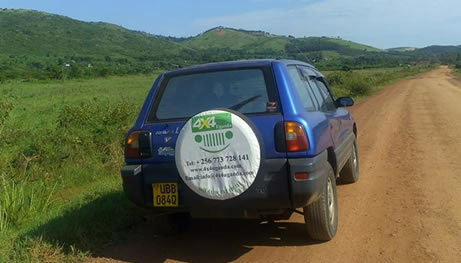 It is located 6-8 hrs drive from Kampala via Masaka – Mbarara highway, or via Mubende, FortPortal – Kasese. 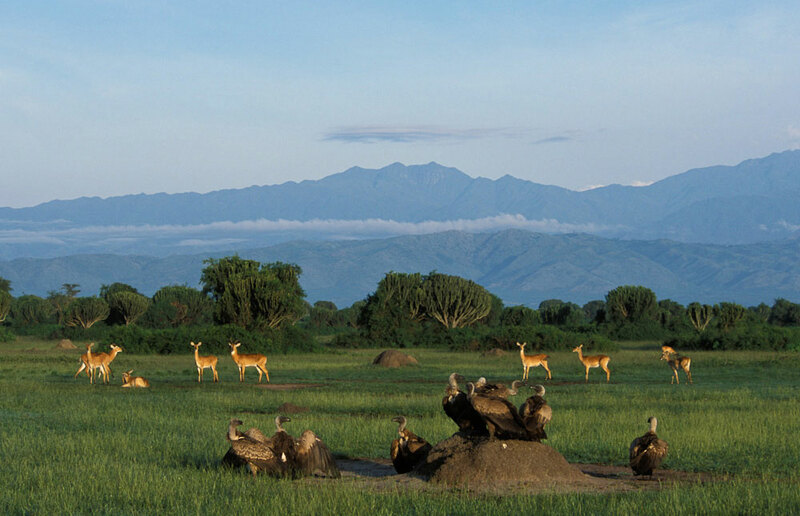 This is one of the most visited National park in Uganda due to presence of a wide variety of animals and bird species supported by the variety of ecosystem. 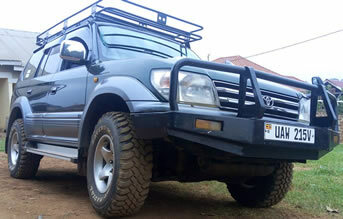 Game drives are conducted in jeeps with pop-up roof for excellent game viewing and photographing. It is more rewarding with a professional ranger guide from the park management. Game drives are conducted in the morning to catch up with early raisers and predators returning to their hideouts, in the afternoon and evening. Additionally, night game drives can also be arranged with a professional ranger and good lights to catch up with night dwellers. Some of the animals to see while on game drive in Queen Elizabeth National Park include Lion, Leopard, herds of Buffaloes, Elephants, Warthogs and many antelope species and approximately 611 bird species among others. The tree climbing Lions are found in the Ishasha sector in the southern part of the park. This is the only place in Uganda where one can see the tree climbing lions resting in tree branches especially in the afternoon. This is one of the most popular tourist activities for visitors to Queen Elizabeth National Park. The boat cruise takes you along the Kazinga Channel that connects Lakes George and Edward, famous for the highest concentration of Hippos in Africa, with Huge Nile Crocodiles, herds of Buffaloes and Elephants seen along the shores. Bird Life is prolific with approximately 611 species. The boat provides a clear platform for photographing. This is a half day activity in Kyambura gorge. Chimps tracking takes place from morning to Mid day, and the afternoon shift starts at 2pm. The activity involves hiking through the forested gorge with trained rangers and guides in search for the habituated group of chimpanzees. On the hike, expect an encounter with other primates such as Grey Cheeked Mangabeys, Olive baboons, Galago Monkeys, Red-tailed monkeys, Vervets and Blue Monkeys among others. Bush camping in Queen Elizabeth National Park offers you a true African wilderness. You can hire water proof tent, sleeping bags, mattresses and lamp from your travel agency. Insect repellent is very important. Queen Elizabeth National park has approximately 611 bird species and some of them are migrants from Europe, seen along the Kazinga Chanel while on boat cruise, and on nature walk Maramagambo forest. The walk rewards with a plenty of forest bird species, visit bat caves and expect an encounter with rock python. You must have a ranger to take a forest walk. There are so many places to stay, they include campsites, budget camps and lodge, mid range and luxury lodges. Some of these include Mweya Safari Lodge, Enganzi Lodge, katara lodge, Kyambura Game Lodge, Mazike Lodge Kyambura, Twin lake safari lodge, King Fisher Lodge, Bush Lodge, Bufalo safari Lodge, Ihamba safari lodge, Jacana Lodge, Simba safari Camp and Park View Safari Lodge among others. In the southern part of the park (Ishasha sector), we have Ishasha Wilderness Camp, Savana Resort, Enjojo Lodge and Ishasha Jungle Lodge among others. From Queen Elizabeth National Park, you can extend your safari to the magnificent Murchison Falls National Park for more game viewing, Kibale National park, a home to 13 primate species and over 350 bird species (2hrs), Lake Mburo National Park (2-4hrs), Bwindi Impenetrable Forest or Mgahinga National Park for gorilla trekking experience.